Our firm offers a wide range of services to our individual and business clients. You can count on personal, quality service beyond comparison. When choosing the right firm for your tax, accounting, and audit needs, only you can determine which considerations are most important. Varying levels of service and prices between competing firms and “do-it-yourself solutions,” can leave you wondering what’s best for you. Read on for a few things to look for. Consider the firm’s reputation, its experience in handling accounts like yours, and the span of expertise across the firm. The firm should be easy to do business with, and having your tax, accounting, and assurance services all under one roof is a step toward effectively managing your finances and simplifying your life! TIP: Always ask for references! You deserve to know that the professionals handling your finances can prove they’re worthy of your business. You deserve timely and responsive communication from your accounting firm in a way that’s meaningful to you. At HBE, it’s important to us that we’re easily assessable to you whether it’s in-person, by phone, or through email, but we don’t stop there. We’re also leveraging interactive media such as Facebook, LinkedIn, and email marketing to proactively share information and tips with you. TIP: Let us know how you would like us to communicate with you. Sign up for our monthly e-newsletter and e-mail communications, update your address, or contact us with your questions and comments. Tax, accounting, and assurance are challenging disciplines, and each requires ongoing education to stay current with the ever-changing guidelines. We feel that providing educational opportunities for our team increases employee engagement, makes us more competitive, and ultimately provides a better value to you. 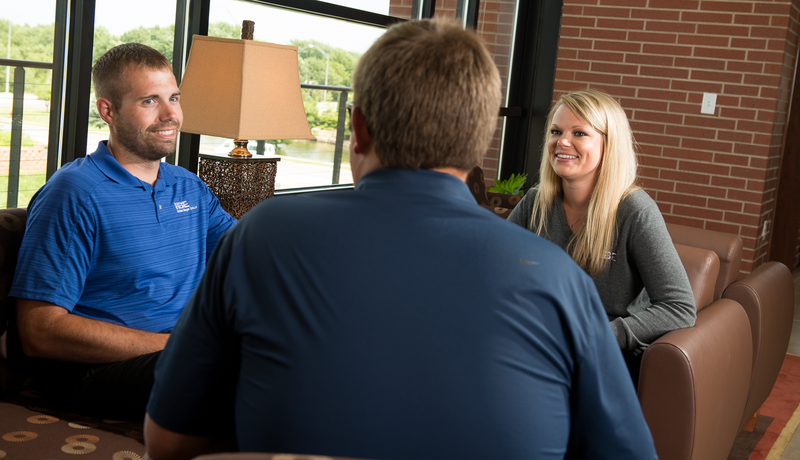 At HBE, we’re proud of our commitment to continuing education which has consistently exceeded the standard 40 hours per person per year mandated by the State of Nebraska and the American Institute of Certified Public Accountants (AICPA). Member of the Private Companies Practice Section (PCPS) of the American Institute of Certified Public Accountants (AICPA). As part of the membership requirements, a firm must undergo reviews by its peers every three years. All reviews have shown that work performed by HBE meets the quality control standards of the AICPA. Click here to view our 2012 Peer Review Report. Member of the AICPA Employee Benefit Plan Audit Quality Center (EBPAQC). The EBPAQC is a voluntary membership organization that allows our firm to access invaluable resources that assist us in providing you the highest quality audit. The EBPAQC also provides up-to-date information on Department of Labor and IRS employee benefit plan regulation and reporting changes that we pass on to our clients. This allows our clients to be prepared for changes far in advance of implementation deadlines. We work hard to earn your business, but we work even harder to keep your business. It’s important to us that you feel appreciated with every interaction, and we hope you’ll see how valued you are by the quality of the work we do for you every day. We understand the power of relationships, and it’s important to us that you experience minimal disruption when it comes to doing business with HBE. That’s why we strive to maintain staff continuity from year to year. We want your HBE professional to become familiar with you, your business, and your accounting systems. You’ve heard it before: price isn’t everything but when it comes to choosing a firm for your tax, accounting, and audit needs, we understand it’s a critical factor. We try to provide the most value possible for every dollar you spend with us. TIP: Contact HBE and request a Services Checklist. This tool will help you determine price vs. value when evaluating firms for your tax, accounting, and assurance needs.